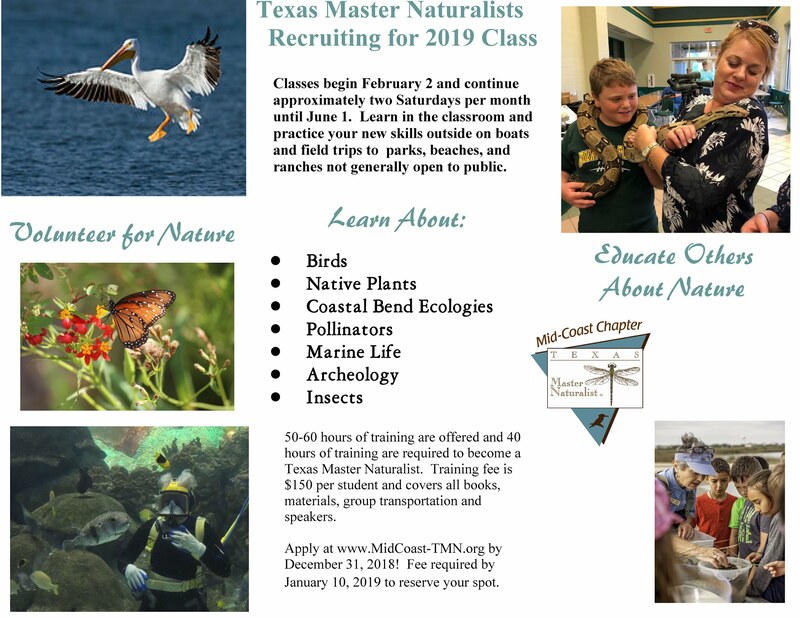 Join the Mid-Coast Texas Master Naturalists! Become an advocate and volunteer for nature and our local coastal environment. Now is the time to sign up for training, which begins February 3, 2019. See brochure for more details. To join, go to our website at www.MidCoast-TMN.org. Click on "Want to Join" and fill out an application by 12/31/18. Training fees due by January 10, 2019. Space is limited to 16 people and the class is filling up, so join us today!